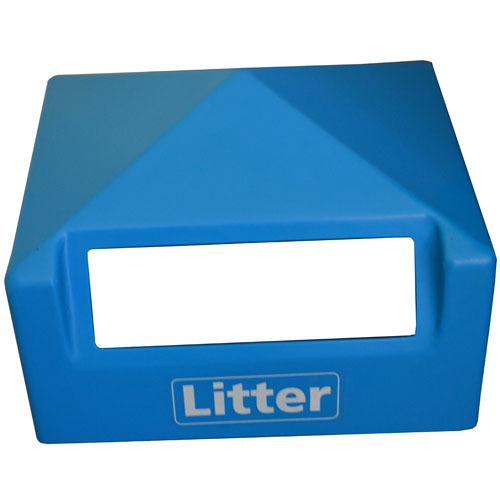 Now In Stock - 48 Hour Delivery! 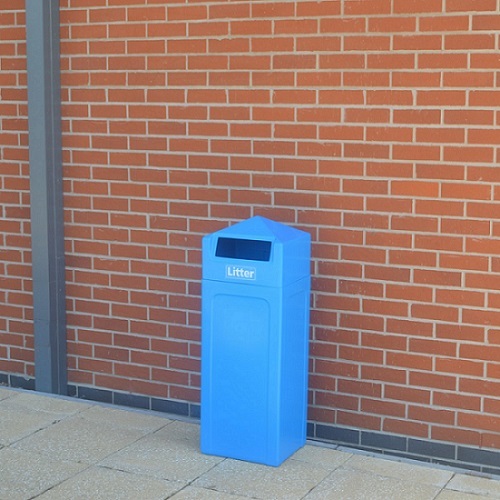 The Wharf Litter Bin features an attractive and unique appearance and is available in a wide range of colours. 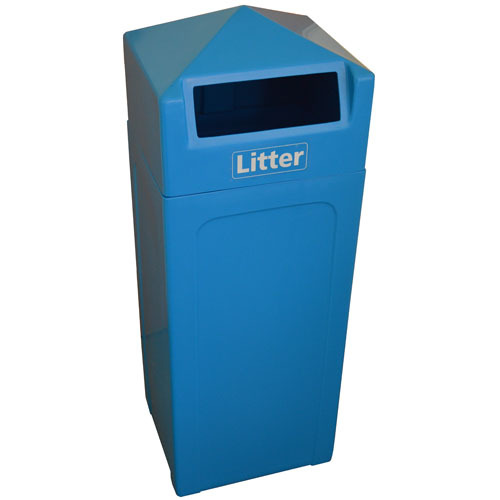 The bin has a capacity of 65 litres and can be supplied with a “Litter” logo decal as an optional extra. 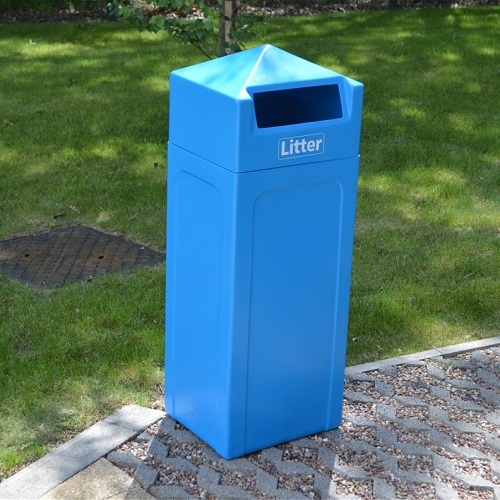 The bin is manufactured from tough and durable, UV resistant Polyethylene and is ideally suited to both indoor and outdoor environments, as it requires very little maintenance. 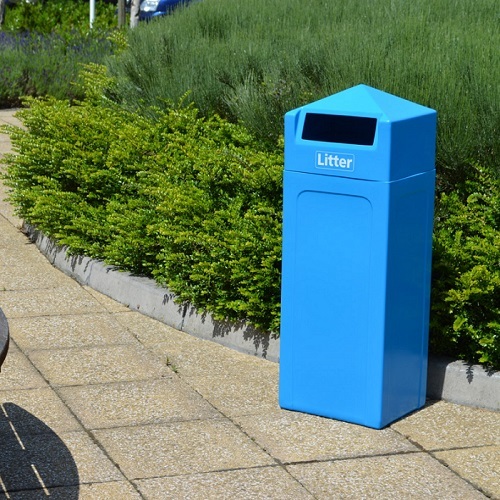 When placed outdoors, the peaked lid allows rainwater to run off and deter people from placing litter on top of the bin. 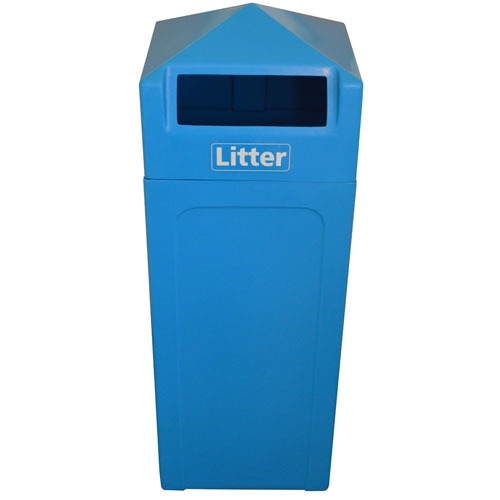 The material used in the construction of the bin is also guaranteed not to fade for up to 10 years. 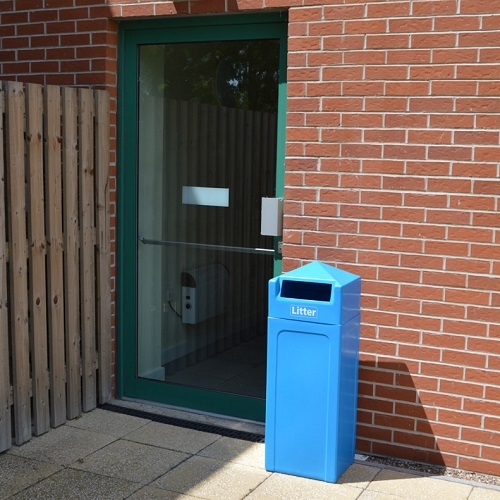 The bin is designed to hold a standard plastic bin liner which is easily fitted by simply lifting the lid and placing inside, once the liner is in position, simply fit the lid back on to the base. 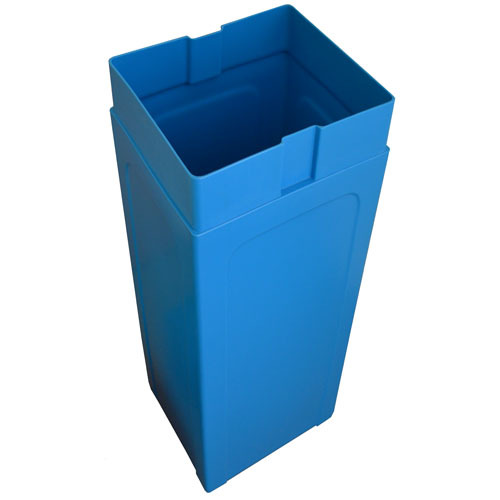 The lid then holds the liner in place. 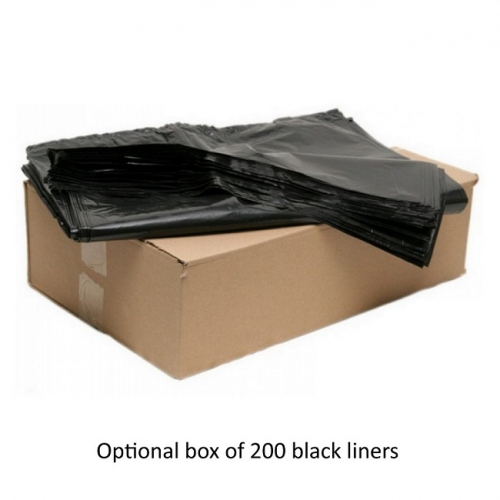 This ensures the liners are easy to remove when full. 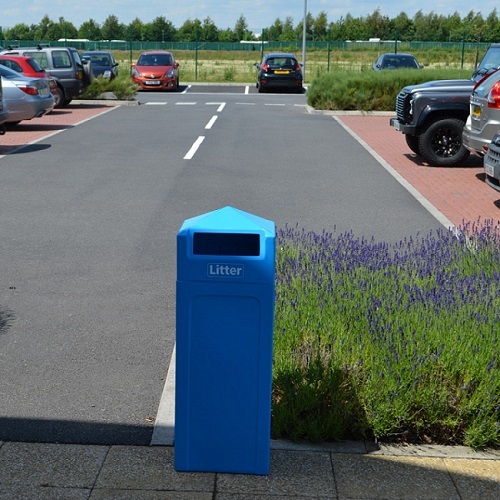 The bin can be securely fixed to the ground using the ground fixing kit which can be purchased separately. 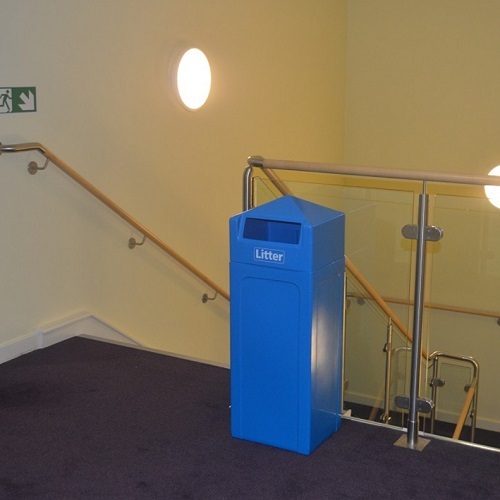 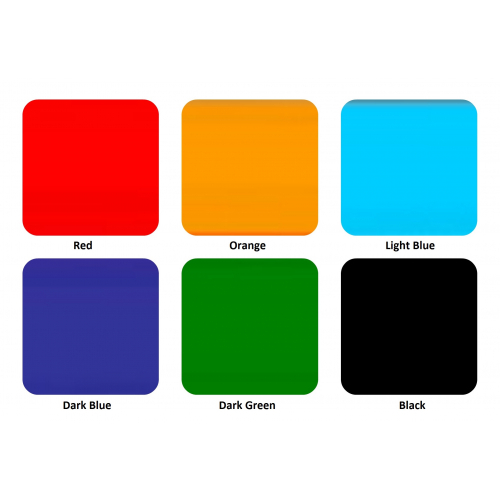 It is suitable for use in many different environments and is popular with schools, colleges, universities, councils, offices, leisure centres, theme parks, shopping centres and children’s parks.